For First Nations people, a blanket holds deep meaning and traditions linked to culture, birth, life and death. It can represent survival and beliefs that transcend time and place. Blankets also have a dark history as they were sometimes used to decimate First Nations populations. In 1763, for example, Sir Jeffrey Amherst, leader of the British army, suggested introducing smallpox by giving infected blankets to the First Nations people they were fighting. Before the arrival of woven and industrial materials, First Nations made blankets with what nature supplied. 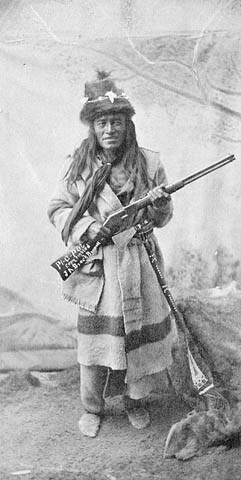 Animal skins were used as blankets, especially those from larger animals like deer, elk, bear, caribou, seal, moose and buffalo. It took several days and hard work to hunt, prepare and tan a pelt. The animal’s fur or hair may be removed depending on how its skin was to be used. The tanned skin might also be decorated if materials were available. Pine pitch or spruce gum was sometimes applied to the outer layer of the skin to make it more waterproof. This made it ideal to cover dwellings such as a lean-to or tepee. First Nations had their own weaving techniques, using tree bark or parts of fibrous plants, such as cattails. The Northwest Coast Chilkat, an important ceremonial and dance blanket of goat hair mixed with cedar bark, would have taken a year or longer to make. 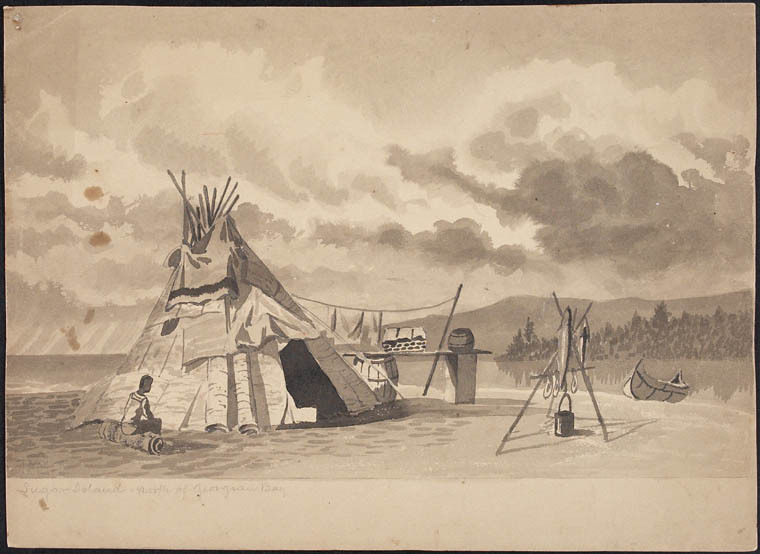 When European settlers arrived, First Nations peoples were quick to adapt new trade goods to their lives. 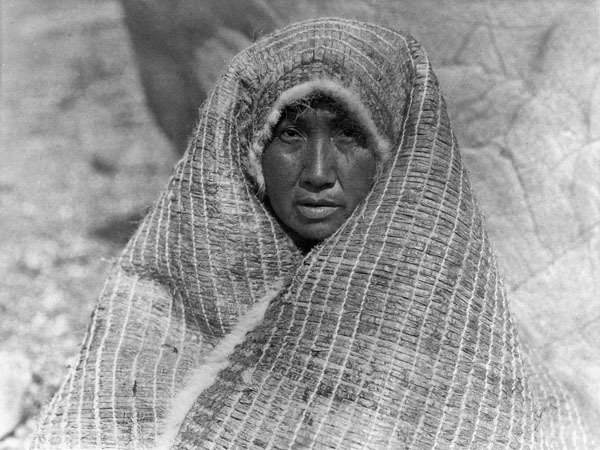 Artists who travelled on western and northern expeditions recorded the many ways blankets were used in their drawings. 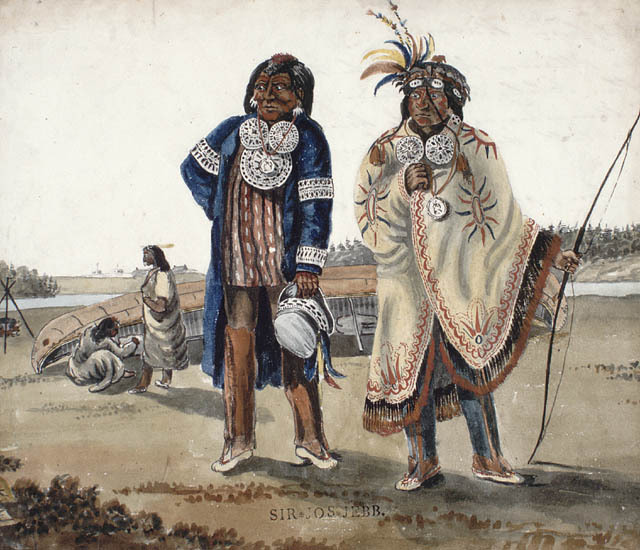 Some First Nations people used blankets as a coat or shawl. Hooded capote coats were made from trade blankets by joining block-shaped pieces with sinew. 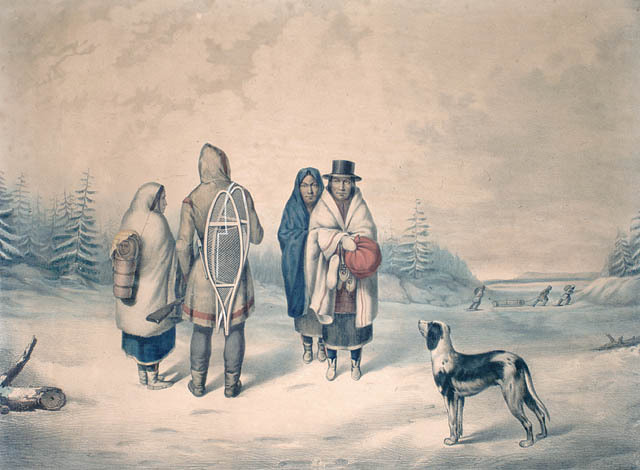 The most recognized trade blankets were the Hudson Bay Company blankets. These were first supplied and traded in 1779. Early photographs of First Nations gatherings on the Northwest Coast show trade blankets piled high to symbolize prosperity. Button blankets were made of high-quality woollen trade blankets from British mills. These blankets were usually dark and were decorated with red crests that had symbolic meaning. Lines of mother-of-pearl or abalone shell buttons would frame the designs. Families and communities would use button blankets in both ceremony and dance. First Nations peoples still use blankets to practice their traditions and hold the blankets in high regard. Star quilts are designed by the Dakota/Lakota/Nakota peoples. It is believed that when you are wrapped in a star quilt, your ancestors are amongst you and with you. Blankets are given at weddings and upon the birth of a child. They are also given to recognize elders and those involved in a worthy endeavour. 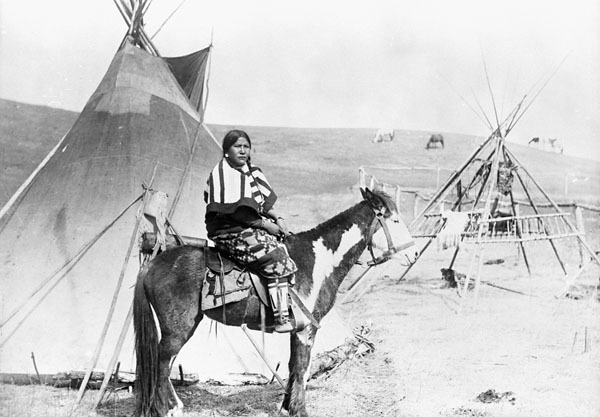 Some blankets used at pow-wows are changed into shawls by adding satin appliqués and ribbons. First Nations peoples’ use of blankets is multidimensional, shaped by their experiences, and can be passed to future generations. 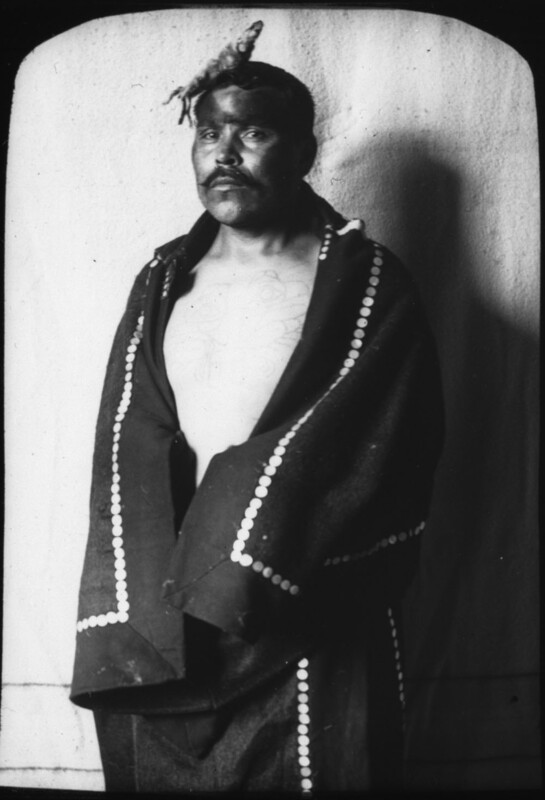 Explore more images of blankets by searching Library and Archives Canada’s photograph and art collection. Elizabeth Kawenaa Montour is a project archivist in the Exhibitions and Online Content Division at Library and Archives Canada.